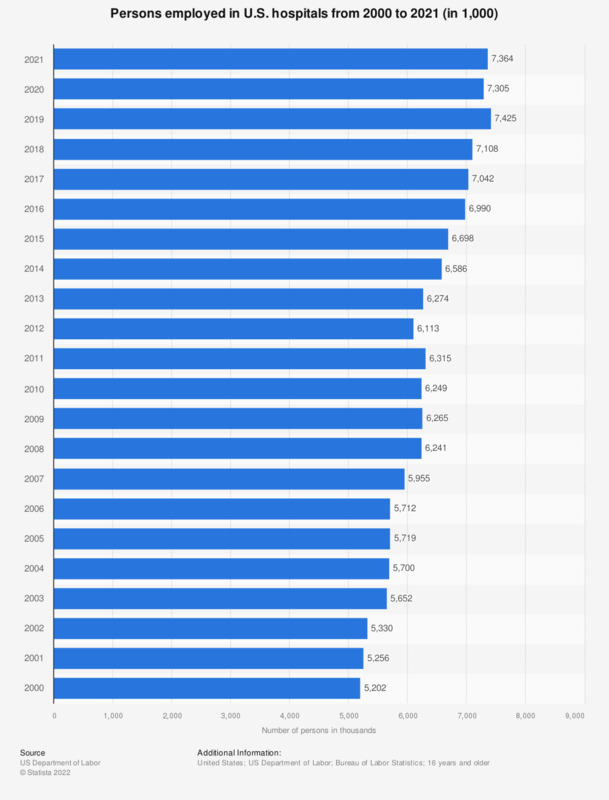 This statistic shows the number of persons employed in U.S. hospitals from 2000 to 2017. In 2000, there were approximately 5,202,000 persons employed in hospitals all over the United States. A decade later, the number was more than 6.2 million.